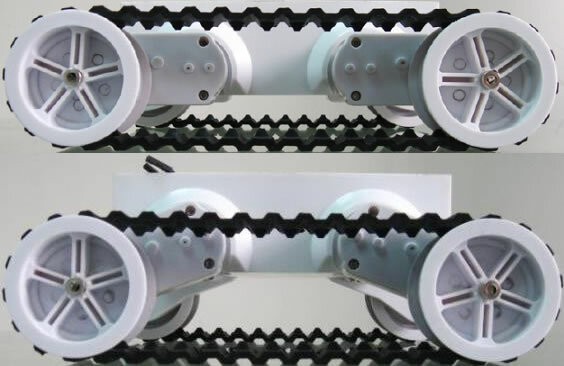 Rover 5 is a new breed of tracked robot chassis designed specifically for students and hobbyist. Unlike conventional tracked chassis’s the clearance can be adjusted by rotating the gearboxes in 5-degree increments. “Stretchy” rubber treads maintain tension as the clearance is raised.